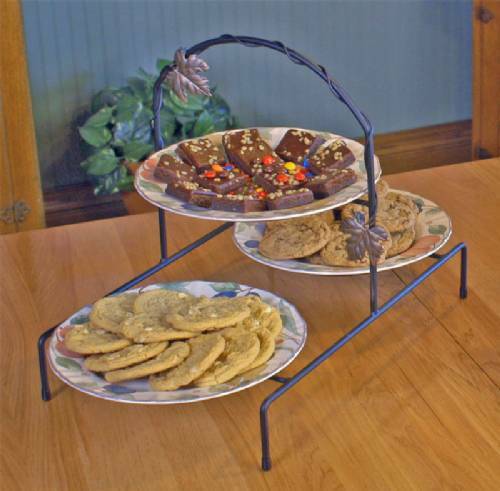 You'll love this three tiered plate or pie rack for parties, gatherings or everyday use. Rack features a durable, black powder coated finish, rubber booties for its feet and and a lovely metal "vine" growing across the middle. It is made with pride in the USA. Plate openings accommodate 9" plates and the stand is 15 1/2" tall by 12" wide by 23" deep. Plates and yummy cookies not included. A lovely rack at a lovely price!